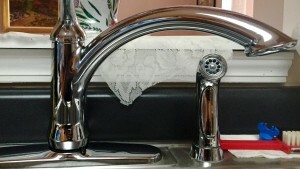 Struggling with clogged or leaking drains in your bathroom or kitchen sink? Is your bathtub or sink taking forever to drain, or is it backed up entirely? All Star Plumbing is just a call away and provides professional drain cleaning and drain repair services in Columbia, MO and Mid-Missouri. At All Star Plumbing, our drain cleaning and repair are backed by years of experience and hundreds of jobs completed. We have a proven three-step process that allows us to address the problem, educate you on the cause, and teach you how to prevent future occurrences of the issue. Drain repair & cleaning is a service that requires more than pouring a liquid down the affected fixture. “Band-Aid Fixes,” as we call them, can often result in a bigger problem down the road and could be more costly the longer you wait. We also don’t suggest putting a wire hanger down your drains; you risk putting a hole in your pipe and causing it to leak water into your walls or floors. Instead, get the job done properly with the experience of a master plumber. At All Star Plumbing, we address drain repair issues with priority and ensure that your systems are best suited to run properly for years to come. We have a variety of methods and equipment that allow us to arrive at every job prepared and ready to go. When you stay on top of plumbing issues, you will stay ahead of the game for the future state of your home. Sometimes what is perceived as a small issue, could actually be the side effects of a bigger underlying problem, like damaged sewer lines or leaking water mains. Think a full-on drain repair sounds like overkill? Don’t worry; All Star Plumbing also offers drain cleaning services to Columbia, MO and the surrounding area. Every process starts with the initial evaluation, and we will give you our honest suggestion on what to do next, based on the size of the problem. Staying ahead of the game could save you money down the road. 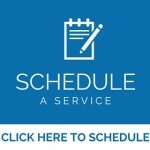 Schedule a service with All Star Plumbing today to have your drain cleaning problems resolved, as well as any other plumbing services you may have!